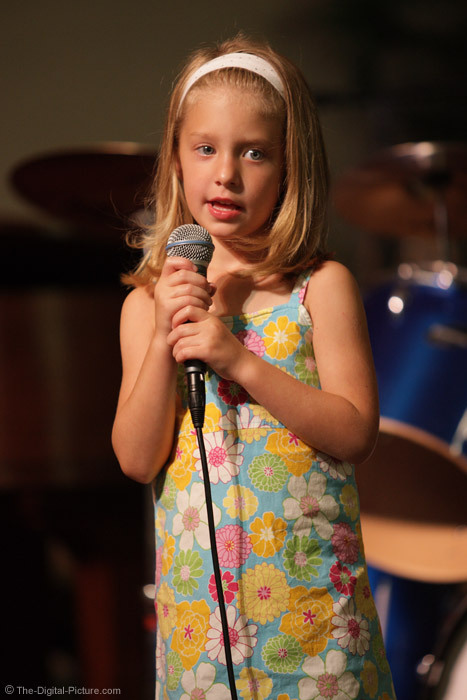 A little girl performs on stage with a microphone in her hands. Lighting is from the stage lights. This lens and camera combination are great for stage work.